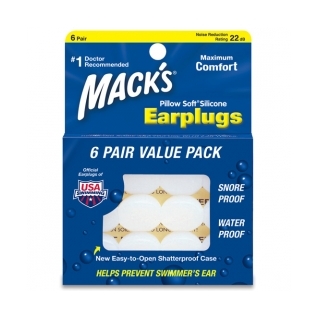 America's original and #1-selling moldable silicone earplugs.The ultimate in earplug comfort, Mack's silicone putty molds to the unique contours of any ear. Pretty much all I use for swimming. Easy to form in ear and stay in place.